Halloween is one of the most colorful autumn holidays, which goes back to the traditions of the Irish and Scottish Celts. They believed that on the night of Halloween the border between the worlds of the living and the dead is erased so that spirits and demons can walk freely on Earth. In order not to get caught in their paws, people themselves dressed in costumes of various evil spirits. Halloween has become a day when people laugh at death and superstition. The secret of the popularity of the holiday is in its special mystical and magical atmosphere. The magnificent autumn landscapes, the cozy evenings filled with flavors of mulled wine, pumpkin muffins, and caramel apples. All of this is the perfect supplement to the films on the list. 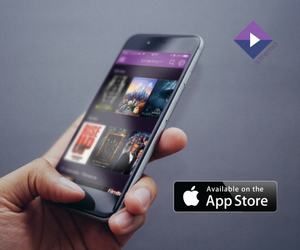 We have compiled some of the best movies that best convey the spirit of this holiday – dark fairy tales, funny horror films, and films, the plot of which is associated with Halloween. We’ve wanted to make a countdown, but changed our mind, because there are so many great films on the list, that it would be impossible, and unfair, to grade them. Meet Coraline. Together with her family, she settles in a new house. Her parents are constantly busy, and she decides to find an adventure of her own! One day, wandering around the house, she finds a strange little door, behind which an amazing world of ghosts awaits her. Realizing that this world is capable of harming her and her parents, she is desperately trying to find a way out of it. Don’t be fooled, Coraline might look like an innocent animation, but you’ll be surprised how creepy it gets at a certain point! This is one of the best movies to get you in the right mood for Halloween. The heroes of this black comedy filmed by Tim Burton are a married couple of ghosts. They lived peacefully in an abandoned house until a family of living and impudent inhabitants moved in. Spirits try to scare them, but they didn’t succeed. To preserve their quiet home, they will need the help of Beetlejuice, the expulsion specialist. Black humor without too much blood. Even the outdated special effects don’t look cheap, but cute and stylish. “Beetlejuice” makes you look at the relationship between people and ghosts from the other side. Maybe we scare them more than they scare us? “The Addams Family” has the Halloween atmosphere all over it. A great black comedy about a colorful little family living in a not so colorful house. The extravagant Gomez, the fatal Morticia and their relatives love the gothic horror atmosphere. Their house looks like an abandoned castle. The butler resembles the monster from Frankenstein, and the children love to play cruel games and torture each other. And at the same time, they are a healthy and happy family. They just have values different from ours! 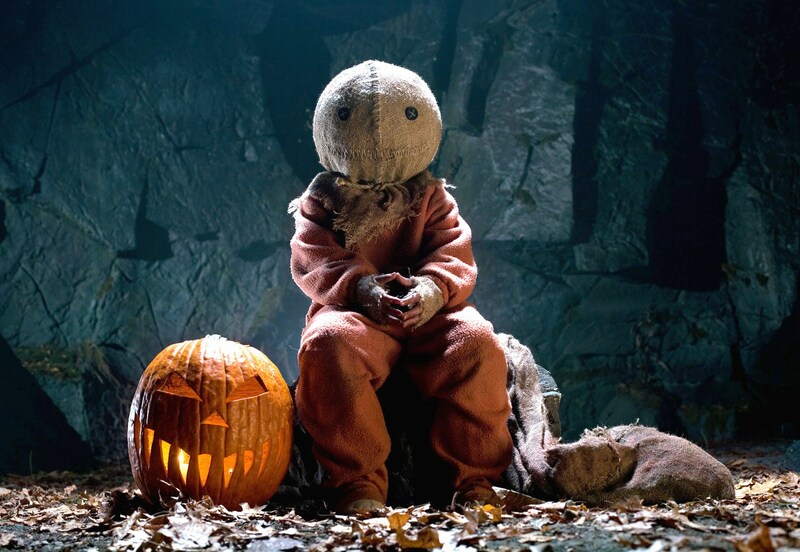 “Trick ‘r Treat” consists of several separate stories that take place on Halloween night in a small town. Each of them shows how dangerous it is to violate the traditions of the holiday. The small but evil spirit of Halloween severely punishes those who smash pumpkin lanterns, don’t give candy to the children, or commit crimes. Stories are intertwined, complementing each other. The scriptwriters play with our expectations, so it is difficult to guess who is the victim and who is the killer. “Trick or Treat” is a relatively new film, but over time we are sure it will be considered a classic Halloween movie. This amazing stop-motion animation is about Halloween city – the town of fear and nightmares, where dead people and monsters live. They are all led by horror king Jack Skellington. But Jack accidentally ends up in Christmas town, where he learns that in life there is also joy, good and fun. He desperately wanted to experience all these feelings and to give happiness to people. So…he kidnapped Santa Claus and took his place. No matter your age, or the company you are in, “The Nightmare Before Christmas” is your perfect choice for a Halloween movie. This list would be nothing without John Carpenter’s1978 masterpiece, “Halloween”. You all know the story. Michael Myers, at the age of six, killed his sister and was placed in a psychiatric hospital. Fifteen years later, on the eve of Halloween, he escapes and returns to his hometown, where he begins to pursue another high school girl. An old and lonely scientist created a human being. But he died, without being able to finish what he started. The young man that he created was definitely not like other people. He has scissors for hands (you can imagine how that can be a problem) and lives in an abandoned house all alone. But one day he meets a beautiful girl who was able to appreciate his kind heart. The movie has stunning visuals, magical soundtrack thanks to Danny Elfman, and the amazing performance from Johnny Depp, and Winona Ryder. What more do you need than that? It’s another Tim Burton classic you should definitely consider watching on Halloween night. Again a Tim Burton film, and again Johnny Depp. Don’t worry, this time is completely different. “Sleepy Hollow” is a Gothic story about the 18th century, dark sorcery and cruel crimes. Johnny Depp’s hero, detective Ichabod Crane, arrives in Sleepy Hollow to investigate the mysterious murders. They are said to be committed by a mysterious headless horseman. The locals believe that they are being haunted by an ancient curse, but Ichabod refuses to believe in that. The action in “Sleepy Hollow” takes place on Halloween. Burton doesn’t focus on this, but he clearly hints at the details. Late autumn, pumpkins and, of course, an evil spirit. “Sleepy Hollow” conveys the atmosphere of Halloween unobtrusively, without resorting to banalities. The movie tells the story of a young guitarist named Eric, who was killed with his lover on Halloween night by a band of criminals. A year after his death, Eric resurrects in order to take revenge on his killers. But now he is invulnerable, and his only weak point is the same raven who helped him to return from the grave. Unfortunately, “The Crow” was Brandon Lee’s last acting performance. He died on the set after he was accidentally shot with real bullets while filming a scene. This fact alone gives the film a different meaning and atmosphere. Sometimes, real-life events and accidents can be even more horrible that every movie script. The film tells the story of three film school students. They got lost and disappeared on the eve of Halloween while working on their course project – a documentary about a local legend, a witch from a village named Blair. The low-budget horror film initiated the spread of the pseudo-documentary (mockumentary) genre. The movie was shot by an amateur camera, without any special effects and musical accompaniment. Despite the fact that the story is completely fictional, in the course of the work all the actors were convinced that the plot was based on real events. In addition, for greater certainty during the filming, they were given less and less food to make them tired and irritated more naturally. The result is more than impressive and proves once again that we are most afraid of what we can not see. If you love British humor and zombies, then you have no right to ignore “Shaun of the Dead”. If you are not that much into horror movies, but you still want to go with the Halloween tradition, this is your film. The movie pretty much mocks all zombie films ever made, but in a brilliant way. The main character, Sean, is an ordinary commercial consultant, who spends his free time in the pub with his friend Ed. But the boring life of the 29-year-old Sean ends when, as a result of the mysterious epidemic, the city is filled with crowds of zombies. Together with Ed, armed with cudgels and spades, they go out to kill the zombies and save their loved ones. We hope you enjoyed our list! Your favorite Halloween movie was not included? Let us know in the comments below. 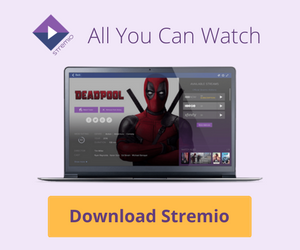 Meanwhile, don’t forget that you can watch all of these awesome films, and many more, on Stremio.